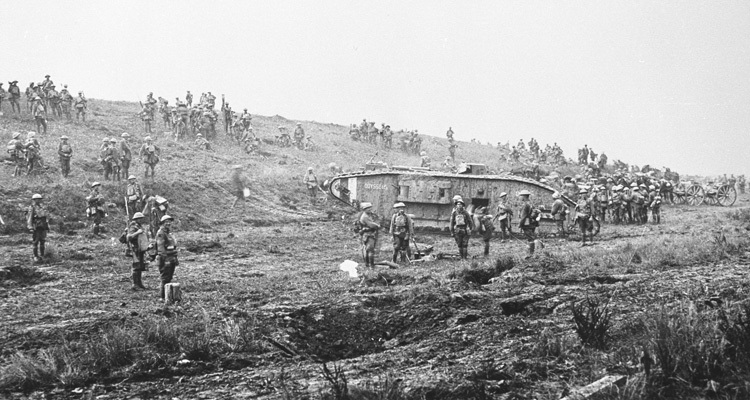 The long-expected German Attack began at 4:40am on the 21st March 1918, falling on the British Fifth and Third Armies. These were the southernmost British units, bordering the French Army. The Germans hoped that attacking at the junction between the two would force the allies to retreat in different directions, the British north to protect the Channel Ports they relied on for supplies, the French south to protect Paris. They could then defeat each nation in turn. 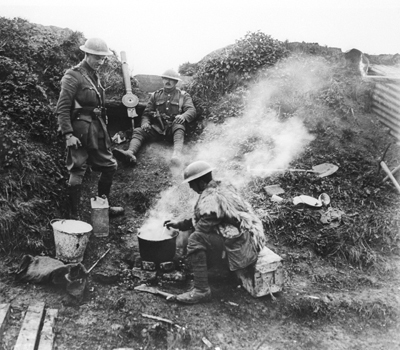 Tank Corps Lewis gunners preparing dinner. The first attacks were very successful. A heavy artillery bombardment and dense fog covered the German advance. Stormtrooper units infiltrated around heavy resistance and concentrated on advancing and cutting off British units. Outposts in the Forward Zone were soon overrun, and, overmanned as they were, British losses were heavy. 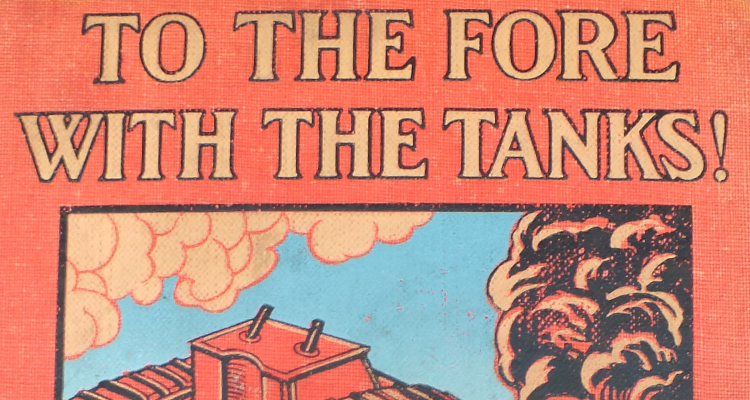 The defenders fought hard to buy time to bring up reinforcements, and the men of the Tank Corps were no exception. 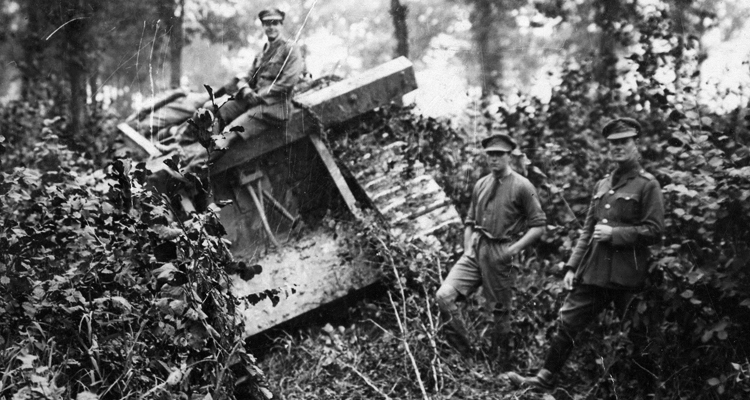 The first into action seem to have been two tanks of the 4th Battalion, which took part in a counter attack at Genin Well Copse at 5:30am. Due to the German bombardment only 6 crewmen reached the tanks unwounded, so they had to use infantrymen as Lewis gunners. As the German advance continued over the next few days more tanks were brought into action, mainly being used in small, improvised counterattacks alongside the infantry. Whilst these did help slow the Germans and steady the British lines, losses were heavy, and Elliot Hotblack, Tank Corps Intelligence Officer, attributed this in part to poor tactics. Tank Corps Lewis gunners. Each large box holds 8 ammunition magazines. Other tanks were held back for use in counter-attacks, but weren’t generally able to play this role, as by the time they had begun to move forwards the Germans had broken through the Battle Zone and the only option was retreat. Of 370 tanks available on the 21st March, only 180 would see action. 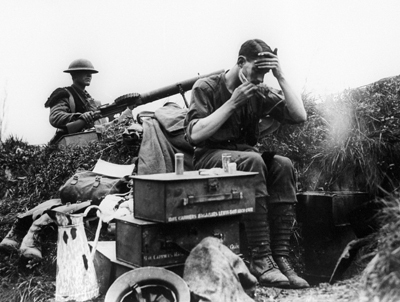 By the 24th losses in tanks were so heavy that many Battalions no longer had machines to man. What they did have, however, were large numbers of trained machine gunners. The Lewis machine gun was a formidable weapon, providing significant firepower in a light, mobile package. Tank Corps soldiers without tanks were formed into Lewis gun teams and sent forwards to support the infantry. This seems to have begun in earnest on the 24th, with several battalions recording forming these units that day. For the British the most dangerous period of this first German Attack (named Operation Michael) was the week to the 28th March, however despite diminishing returns it continued until the 5th April. Four days later a second attack, Operation Georgette, was launched against British units to the north around Ypres. Again, the initial results were spectacular, with the British taking heavy losses and being forced to retreat, but just like Michael British resistance delayed the German advance and prevented them from reaching their objectives. 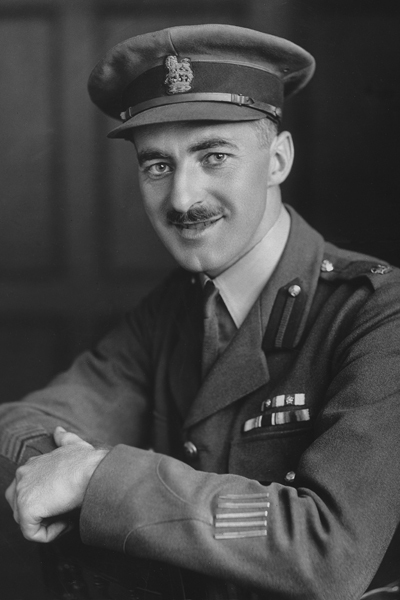 Elliot Hotblack, who criticised some Tank Corps soldiers and tactics. No tanks were used against Georgette, although the 4th Tank Brigade was converted wholesale into Lewis gun teams and sent north, where its members saw heavy fighting. This role was formalised to an extent in early April, when the Tank Corps issued orders that the crew of a knocked out tank was to ‘at once join the first formed infantry unit it meets with,’ having salvaged as many Lewis guns from their vehicle as they could. 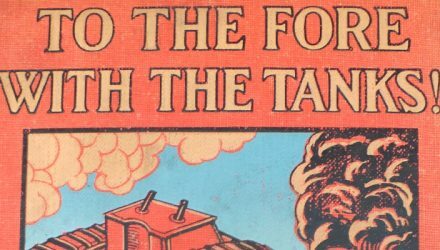 Hotblack’s assessment of Tank Corps tactics were reflected in new ‘Notes on the Use of Mark IV Tanks in Defence’ issued on the 9th April. These emphasised using tanks as rear guards to allow time for the infantry to establish defences rather than holding the tanks in reserve for counter attacks that might not come. 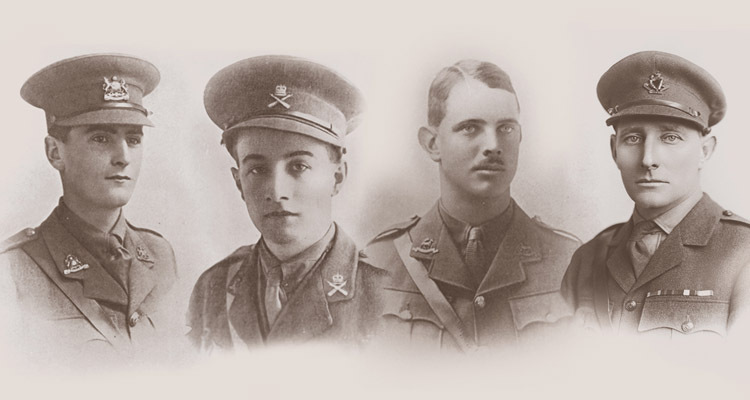 During the period of the German Attack, Michael and Georgette (21st March – 29th April) the Commonwealth War Graves Commission records 239 members of the Tank Corps killed in France and Belgium. Approximately another 766 members of the Corps were wounded between the 1st March and 29th April. Written by Ian Hudson, Research Assistant. 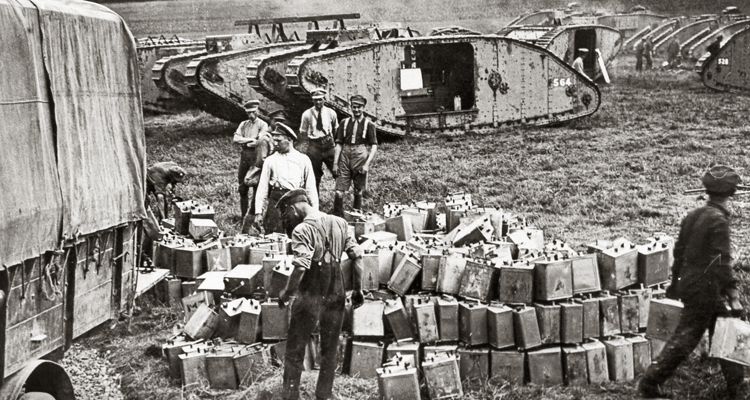 For more on the First World War tank crews, have a look at our products below.